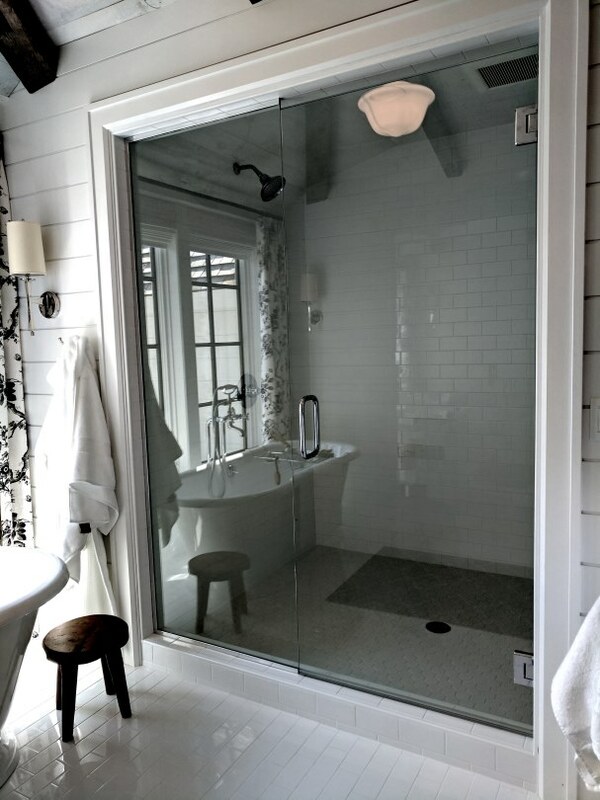 Another picture perfect shower by American Glass & Mirror. A frameless shower is the obvious choose for a designer bathroom such as this, complementing its refined austerity. The homeowner didn’t have to get overly elaborate with the shower to achieve a striking effect. This is just a simple heavy glass door and panel, with a standard chrome back-to-back d-style handle, beveled hinges, and u-channel. The only embellishment made was the addition of vertical channel along the wall on the fixed panel, which the designer preferred over using channel only along the base and ceiling, giving it a slightly more framed-in look. A lovely shower, a lovely bathroom.